Contestant Justin Warner of Team Alton giving their EPK Presenation for the Star Challenge "Meet the Press" as seen on Food Network Star, Season 8. For the first time all season, Team Giada has been bumped from the first-place spot in our weekly Fan Vote. 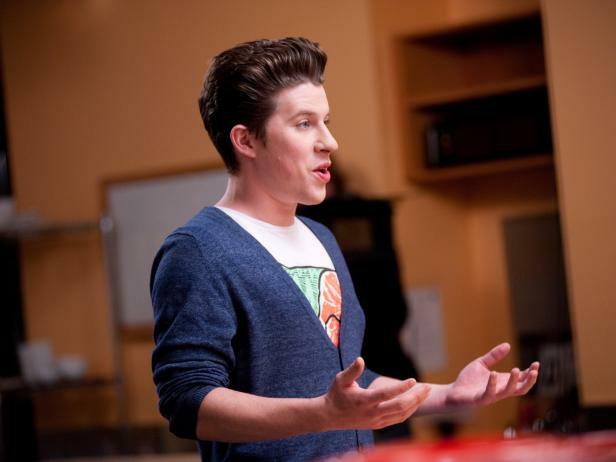 Team Alton's "rebel with a culinary cause," Justin Warner, leads the remaining finalists with 23% of the vote. 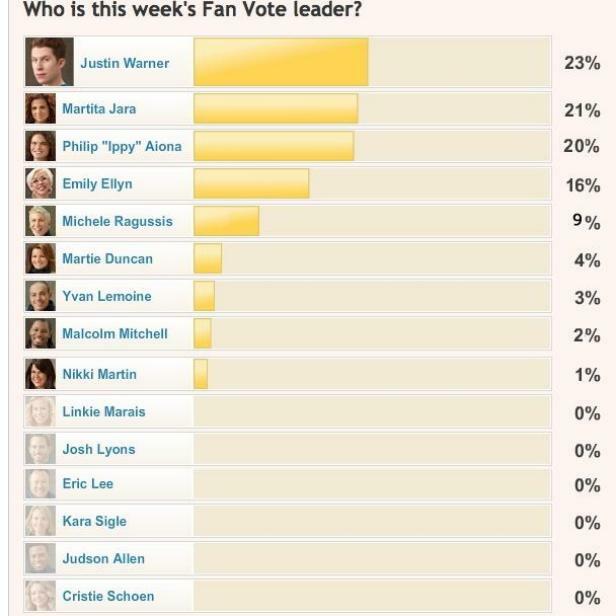 Martita Jara is on his tail at 21%, followed closely by Ippy Aiona at 20%. Justin gave another solid performance this week, opening up to a media panel about the rebellious roots he inherited from his late dad. Bob Tuschman called Justin's bizarre-sounding dish of stuffed dates with peanut butter, duck and bonito flakes a "perfect bite." Will Justin keep his momentum rolling as the finalists head to South Beach? The in-season Fan Vote resets each week, so make sure to cast your vote for your favorite finalist up to 10 times per day. In just three weeks, fans like you will pick the next Food Network Star in our Finale Vote.